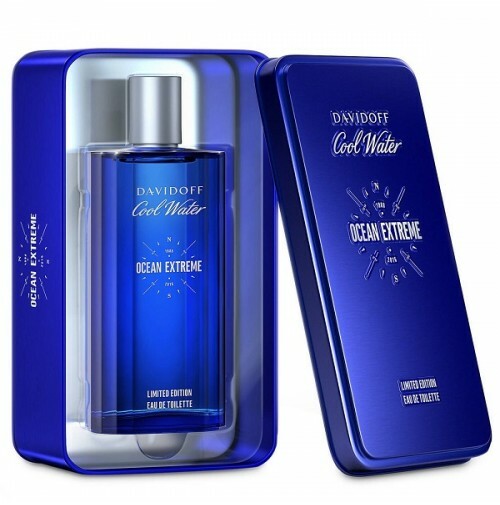 Davidoff Cool Water Ocean Extreme is announced as a bitter and cool scent of explorers, the scent of deep water expeditions. It tries to paint the olfactory landscape of purest salty, vast spaces and dazzling reflection of light on the deep blue ocean. The new interpretation remains true to the original composition and plays with intensified flavors that provide freshness and an aquatic character. The composition is created by Takasago perfumers Antoine Lie and Jean Jacques. Icy fresh top notes include frozen mint, juniper berries and rosemary. The aromatic heart is made of sea notes, lavender, sandalwood and geranium. The base provides a fresh, masculine signature with accords of cedar, crystal musk and seaweed.